Styling preferences can be very different and with Vue it can be really easy to give a unique look to your elements. Vue Glitch comes in to serve as a component for Vue.js which can be used to apply a glitch effect in any kind of text. You can see it live here. 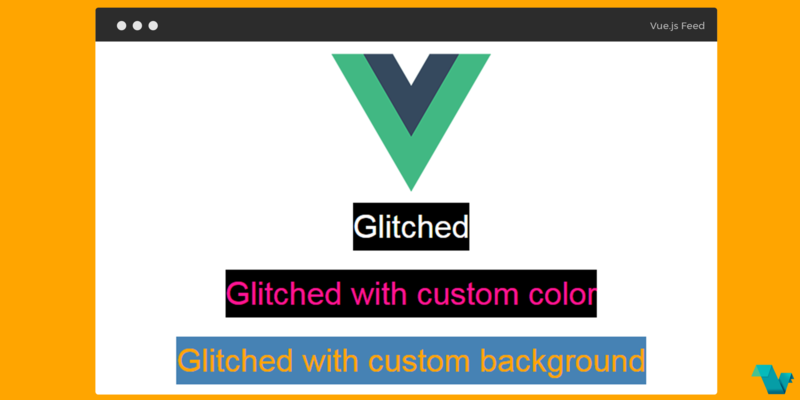 To start working with vue-glitch use the following command to install it. text="Text appeared to be stuck" color="DeepPink"
<glitch text="Text that looks spooky with custom background" color="Orange"
To apply custom styles you can use .glitch and .glitch-wrapper classes. If you would like to explore more about Vue Glitch, head to the project's repository on GitHub, where you will also find the source code. Created & submitted by @ianaya89.